If you've ever been to a food industry show like Fancy Food, you know that the Whole Foods buyers are the rock stars in the aisles. Everyone wants to get on their shelves. That's where Meg Carlson can help. Carlson was CEO of Prosperity Organic Foods from its early days in 2010 until mid-2018. Prosperity Organic is the maker of Melt Organic Buttery Spreads, all-natural plant-based vegan spreads for people seeking an alternative to butter. As Carlson explains, selling to Whole Foods takes more than having a great tasting product that is natural or organic. Understanding what that means can help you prepare for that first buyer appointment. The Melt Organic company evolved with an understanding of the Whole Foods philosophy, its advocacy initiatives, and the products they carry. Quality products and great taste are only the start. Certifications are also highly valued. Melt uses the highest quality​ non-GMO and fair trade ingredients, and its products are certified organic and kosher. To meet Whole Foods customer preferences, Melt also pursued and obtained Fair Trade Fair for Life certification for its No. 1 ingredient, virgin coconut oil, and Non-GMO Project (NGP) verification for its Honey Melt Organic variety. Carlson sees Whole Foods as the holy grail of the natural foods business. If you're not in Whole Foods, the perception of many key stakeholders may be that you're not successful. That can slow growth, even if your brand and products have significant mainstream distribution. "Whole Foods has the cache that made Melt that much more desirable to our consumers, our partners and to our investors," Carlson said. A national distribution agreement takes time. 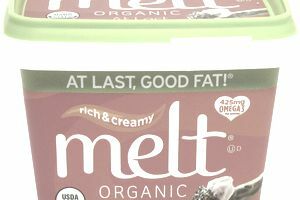 It took Melt two years from its first introduction to secure national shelf placement with Whole Foods Markets. Meanwhile, it was securing shelf space in other supermarkets and developing relationships with distributors. "We learned that Whole Foods prefers to verify that a product will move by brands selling into individual divisions first," Carlson said. The company concentrated first on divisions in East Coast and West Coast regions that they believed were most receptive to their product, where they had distribution in place and where their brand was already becoming known. Before going national, they needed to get distribution in place wherever Whole Foods operated. Once all that was in place, Melt went to corporate to make a formal presentation about the brand. Still, Carlson said, "They weren't ready for Melt yet." The company realized that they had to "really make the distinction between Melt and its competitors, and show why this product would be of interest to Whole Foods' customers," Carlson said. "Once we were able to go back to the national buyers with divisional interest, the national buying group selected to carry Melt." Whole Foods national buying team has very specific demands for presentations and provides a one-page template for the basics. Melt also went in with a PowerPoint demonstration, ready to answer any question about the company's go-to-market strategy, target market, competitive positioning, product details, certifications, and more. Each division has its own preferences and may be interested in more detailed information than the one-pager. Melt also learned that it's difficult to get a meeting at Whole Foods without a food broker. This is an independent sales agent who negotiates deals between producers and retailers.